Slice avocados in half and remove the seed. 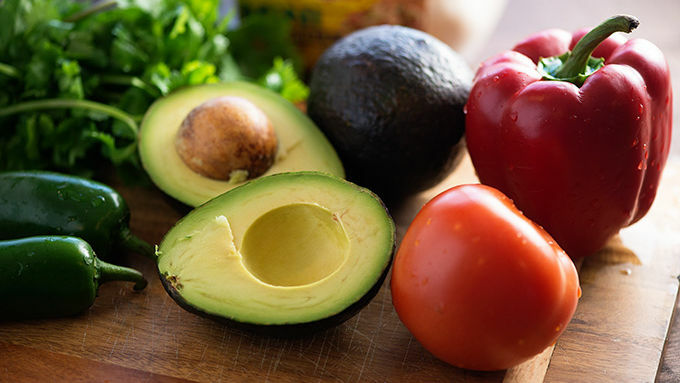 Scoop the flesh from the avocados and place in a large bowl. Mash well with a fork. Stir in the tomato, lime juice, jalapeno, cilantro, onion, garlic, and sour cream. Stir until the mixture reaches your desired consistency. Taste and add salt as needed. Spoon mixture evenly between the taco boats. Sprinkle with diced red pepper and serve immediately. Holy guacamole! These festive little boats are the perfect grab and go appetizer for your next holiday party. Like most humans, I spent the majority of my youth turning up my nose at green things. Avocados were most definitely on the “do not try, do not even look at, please don’t even get one close to me” list. I was a whiny baby. Now that I’m all adult-y, I’m a fan of the green foods. Especially the green foods that are rich and creamy like butter. Oh, avocado. Please forgive me for what I’m about to do to you. It’s holiday party season. 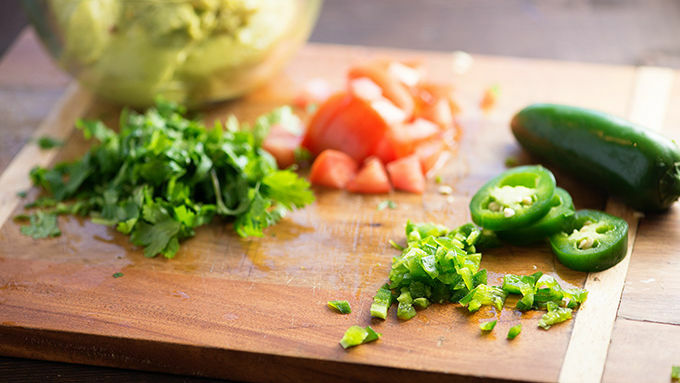 Let’s get all holy with our guacamole, shall we? 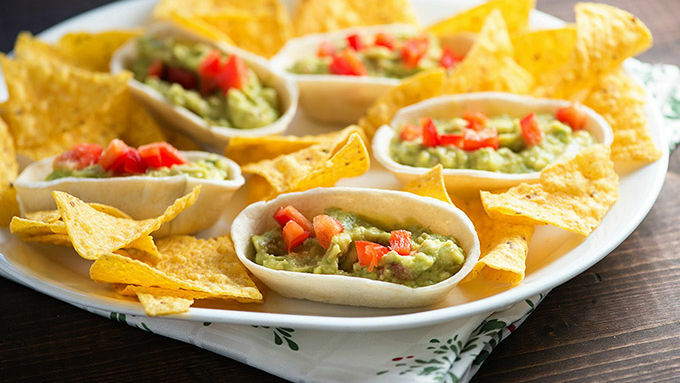 Mini Guacamole Dip Boats, y’all! 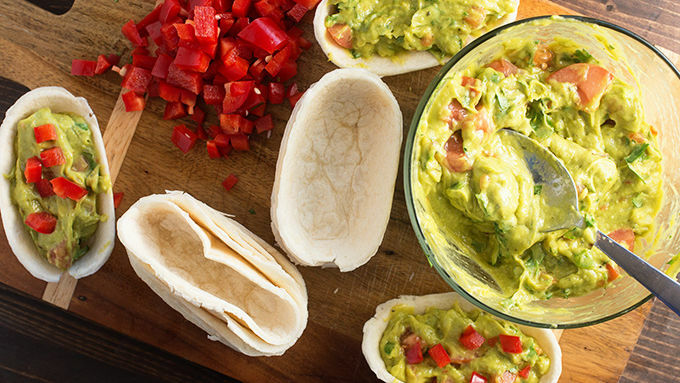 Your party guests can grab and go with boat after boat of holy guacamole. Divine!